How would you feel about handing each of your children a bill of £3,000 for the energy you consumed from the North Sea oil and gas fields? That is the bill they are likely to get according to latest research commissioned by the Intergenerational Foundation. That’s because the government has seriously underestimated how much the bill will be for cleaning up the 3,000 pipelines covering 8,000 kilometres, 5,000 wells, 250 fixed installations and 250 subsea production systems. IF’s research suggests that costs could exceed £80 billion. That is double the government’s optimistic estimates. To put the scale of the challenge in perspective the amount of steel alone that will need to be removed is equivalent to ten US navy aircraft carriers or two Dubai skyscrapers. Rather than setting monies aside to pay for decommissioning as the Norwegians have done with their $1 trillion Sovereign Wealth Fund, the North Sea oil and gas industry and the government are together handing a tax burden to a younger generation who did not benefit from the oil and gas extracted but will be expected to pick up the bill for previous generations’ profligacy. That looks like an intergenerational injustice. Under the principles of the Energy Act 2004 builders and operators are responsible for ensuring that the installation is decommissioned at the end of its useful life, and should be responsible for meeting the costs of decommissioning. However, as our paper reveals, oil and gas companies such as Shell have been allowed to sell-off all, or some of their assets, retaining, in some cases, just one quarter of the costs of decommissioning or less. So, not only is the government allowing companies to shirk their financial responsibilities, but the direction of the tax regime implemented by successive governments has become progressively more generous. In the 2017 Budget the Chancellor, Phillip Hammond, introduced a further tax break for the sector allowing “transferable tax histories” – a form of tax relief against the costs of decommissioning. This is on top of capital allowances of 62.5% of investment and the ability to offset taxes paid on other oilfields. The tax position of decommissioning is complicated because the companies get between 40% and 75% of their decommissioning costs set against taxes they paid during the production years. When oil prices go down, the Treasury is paying out more than they are receiving, about £396m more in 2016, according to CarbonBrief. The final injustice to younger and future generations is the government’s decision to help pay for the costs of decommissioning by permitting yet further extraction of North Sea oil and gas reserves. This will increase carbon emissions and undermine the government’s own targets to reduce emissions in line with the Paris agreement, but it’s storing up yet more decommissioning costs for future generations to pay. 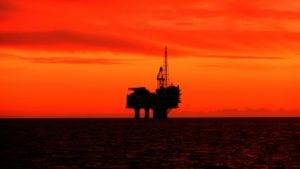 There is a fashionable environmental argument that these platforms and their associated pipelines should be turned from “rigs to reefs”, as undertaken by oil companies in the Gulf of Mexico. The North Sea is a much more inhospitable and dangerous set of colder and deeper waters, and, more importantly, not permitted by the international agreements that cover the oceans around the UK, although owners have been looking for ways that they can be exempt from the rules, which Shell seems likely to do with the Brent platforms.